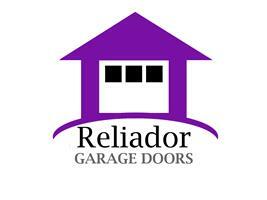 Reliador Garage Doors is a family run business in Dudley. With over 10 years experience in the field we offer a professional and reliable service at competetive prices. Dudley, Tipton, Stourbridge, Halesowen, West Bromwich, Solihull, Sutton Coldfield, Birmingham, Stafford, Wolverhampton, Oldbury, Walsall and Cannock. Whether you are looking for a garage door repair, garage door service or a new garage door, we can help. We work with leading manufacturers, providing garage doors supplied and fitted from brands such as Hormann, Garador, Cardale, Henderson, Wessex, Select and BGID plus many more. We offer a range of garage doors to suit all needs including up and over canopy garage doors, up and over retractable garage doors, side hinged garage doors, sectional garage doors, roller garage doors, motorised and automatic garage doors. ?•Fast and reliable local service that fits around your schedule. •Free, no hassle consultation and quotation. •Free advice and brochures available. •Excellent after-sales service and guarantees. •Work with leading manufacturers to supply quality doors at affordable prices. •Doors in a range of materials, finishes and colours. •Careful installations with long-lasting results – we don’t compromise our fit and finish.